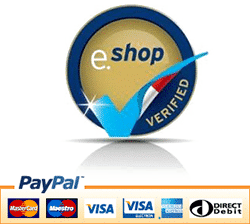 Here at Malta Online Bookshop we take your privacy seriously and will only use your personal information to administer your account and to provide the products and services you have requested from us. When you visit our website, we may collect the personal information you give us such as your name, address and email address when you use forms present on our website. Email marketing: With your permission, we may send you emails about us, new products and other updates. Once you do this, we will update your profile to ensure that you don’t receive further marketing messages. Stopping marketing messages will not stop service communications (such as order updates or notifications). When you provide us with personal information to complete a transaction, verify your credit card, place an order, register as a student we imply that you consent to our collecting it and using it for that specific reason only. We’ll hold on to your information for as long as you have your account, or as long as is needed to be able to provide the services to you, or (in the case of any contact you may have with us) for as long as is necessary to provide support-related reporting and trend analysis only. If after you opt-in, you change your mind, you may withdraw your consent for us to contact you, for the continued collection, use or disclosure of your information, at any time, by clicking here and filling the form. By doing so, all information we hold about your unto our website will be deleted. If you would like to review the data we have collected you can request access by clicking here and filling the form. By using this site, you represent that you are at least the age of majority in your region or country of residence, or that you are the age of majority in your state, county, province, region or country of residence and you have given us your consent to allow any of your minor dependents to use this site. If our organisation is acquired or merged with another company, your information may be transferred to the new owners.